What do Amazon, TheFind, Sears.com, Rakuten.com, Shopping.com, Google Merchant, mShopper, Nextopia, SLI Systems, Catalogs.com, Shopzilla, Commission Junction, and Vendio have in common? They all require a data feed of your products. Whether you are advertising your products, selling through affiliates or marketplaces, or upgrading your site search and navigation, the data feed has become integral to successful ecommerce. If you can output a robust, inclusive data feed from your shopping cart, you have a competitive advantage as you look to expand in the venues where people shop and research products. Conversely, if you are still fumbling around in a spreadsheet and uploading individual files for all the various marketplaces and sites that present your products, you are at a disadvantage. You are likely spending too much time and may not be optimizing the data for your target application or venue. In this article, I’ll examine the various elements of a data feed and address how you can create, manage, and publish this critical information more efficiently and quickly. 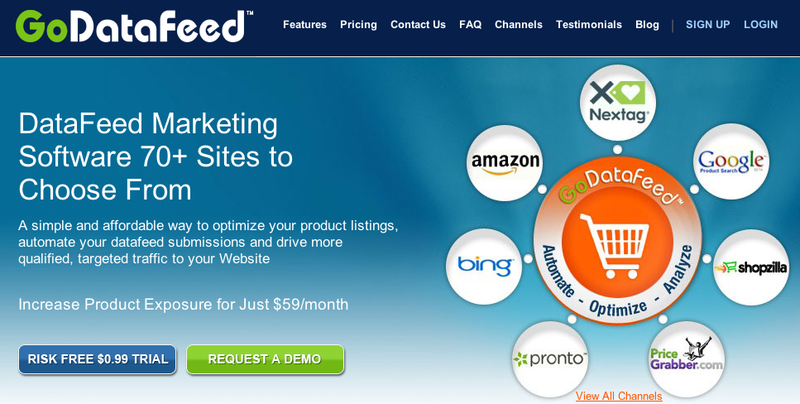 A data feed is generally a comma separated file that includes all of your product information. A standard data feed typically includes the following. Many venues that need data feeds require or offer other fields as well. This varies greatly among applications, but may include the following items. Why Is the Product Data Feed Important? It is important to have accurate data and content within your feed. Assuming you output the feed from your shopping cart, the data should match your online store. But, you need to make sure it is truly accurate — not just match what’s in your store. You must ensure that the UPC code and manufacturer’s specifications and details are truly accurate. When your product feed is used by other venues, they will match your products with identical items from other vendors based on the UPC code. Ensure also that you associate your products with the correct categories for each venue. If you are selling in Amazon, for example, the category structures are different from those in Sears.com. Beyond accuracy and categories, the content within the product data feed is critical. It is selling your products. When those products appear in a comparison shopping engine or in a marketplace, you will not benefit from your branding and merchandising. If you want your products to stand out, you need to create compelling content about them. You should likely use the optional data fields. That may include alternative images, detailed specifications, and other information allowed by the venue. This is one of the few ways you can distinguish your products from competitors selling the same items. Even if you are selling your own brand, include any and all additional information. How Do I Create, Manage, Publish Multiple Data Feeds? First, output the product data from your shopping cart. In a perfect world, you will have a single source — i.e., your shopping cart — for all product information. This requires the creation of custom data fields in many shopping carts. Many merchants do not bother with that. Some shopping carts do not support it at all. Instead, many merchants output the data from their shopping carts into a spreadsheet and edit the information there. Virtually all shopping carts will output to a .csv file. But spreadsheets can be cumbersome, especially with, say, 1,000 products and more than a dozen or so data fields. If you output multiple .csv files into a spreadsheet, you will likely have a management nightmare. And if you then upload that file to a venue such as Sears.com and the validation fails, it can be difficult to identify what is wrong. Companies like SingleFeed, GoDataFeed, ChannelAdvisor, Vendio, and SalesWarp provide solutions for managing multiple data feeds. In most cases, you can upload a single, robust product data feed and those companies will optimize the data for each channel. They also can automatically upload your feed daily, or even more frequently. GoDataFeed is one of many choices to streamline your product data feed process. Consider using an automated data feed solution. This will simplify your process, and the vendors in that space are likely to be aware of the subtleties of each platform. Moreover, SalesWarp and ChannelAdvisor offer much more value beyond just publishing your feed — such as pricing automation, inventory management, order management, and more. In short, the product data feed is extremely important to multichannel success. Make sure you are optimizing your feeds fully.